Universal Pictures and Buena Vista International announced today that principal photography has begun in Philadelphia on Glass, from filmmaker M. Night Shyamalan. For the explosive, all-new comic-book thriller, the writer/director/producer brings together the narratives of two of his standout originals – 2000’s Unbreakable, from Touchstone, and last year’s Split, from Universal. What are you looking forward to as Glass begins shooting? Let us know in the comments below! 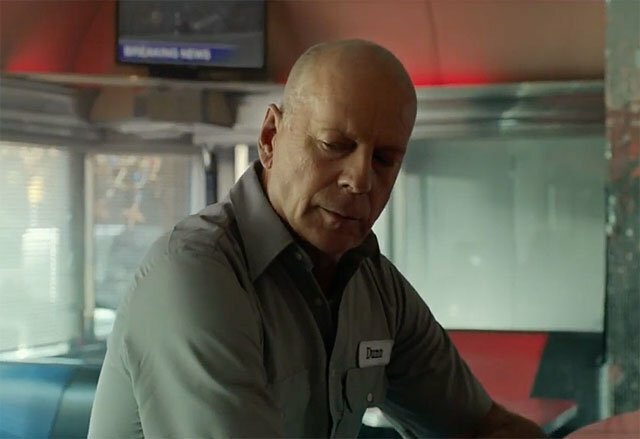 From Unbreakable, Bruce Willis returns as David Dunn as does Samuel L. Jackson as Elijah Price, known also by his pseudonym Mr. Glass. Joining from Split are James McAvoy, reprising his role as Kevin Wendell Crumb and the multiple identities who reside within, and Anya Taylor-Joy as Casey Cooke, the only captive to survive an encounter with The Beast. Following the conclusion of Split, Glass finds Dunn pursuing Crumb’s superhuman figure of The Beast in a series of escalating encounters, while the shadowy presence of Price emerges as an orchestrator who holds secrets critical to both men. Joining the all-star cast are Unbreakable’s Spencer Treat Clark and Charlayne Woodard, who reprise their roles as Dunn’s son and Price’s mother, as well as Golden Globe Award winner Sarah Paulson (American Horror Story series). This riveting culmination of his worldwide blockbusters will be produced by Shyamalan and Blumhouse Production’s Jason Blum, who also produced the writer/director’s previous two films for Universal. They produce again with Ashwin Rajan and Marc Bienstock, and Steven Schneider, who will executive produce. The talented creative team behind Glass includes a group of previous Shyamalan collaborators including cinematographer Michael Gioulakis (Split, It Follows), production designer Chris Trujillo (Stranger Things, Nerve), editor Luke Ciarrocchi (Split, The Visit) and costume designer Paco Delgado (Split, Les Misérables). A Blinding Edge Pictures and Blumhouse production, Glass will be released by Universal Pictures in North America on January 18, 2019, and by Buena Vista International abroad.